Your newsletter needs a fresh look every time but it also needs consistent branding for maximum effect. A reusable template is the answer. Pair it up with relevant graphics and you can crank out effective newsletters that emphasize your brand. Now, if you could just find someone to write it for you. 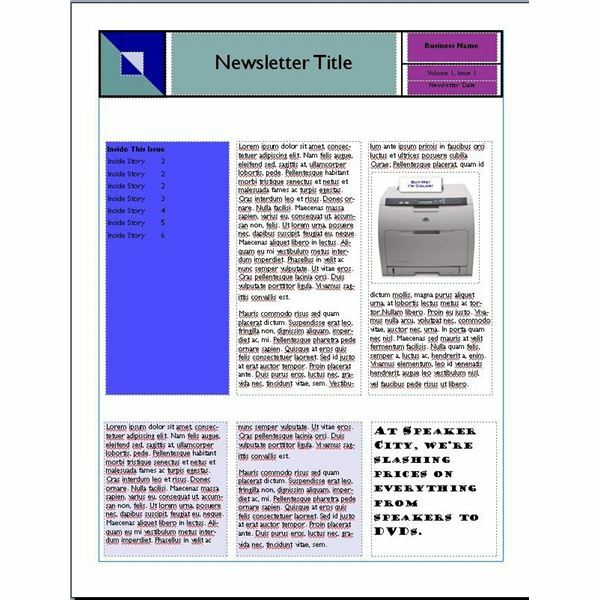 Now that we have our dynamic reusable newsletter template, it is time to kick it up a notch. 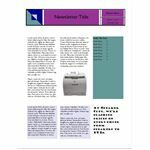 If you are printing a black and white newsletter then you can skip this section because it is all about color. Moving the sections around gives us tons of options for layout. For really eye catching changes though, we'll want to magnify those changes with color. Here is our standard newsletter layout for month number one, I've just added some really basic background color for demonstration purposes. Now, when we move the sections around AND chnage the color we get a newsletter that looks like this. Our newsletter still catches the audience's eye with its consistency, but it obviously not the same thing they got last time. So, they are more likely to read it. Still, wouldn't it be nice if there was something a little more dramatic that we could do to really key the newsletter to our audience a little hint about what this newsletter contains or when it came or where it is headed? Look at most magazines in the grocery store and you'll notice something in common. While they each use the exact same letters and typeface for the magazine name, they allow the cover of the magazine to change, even under the name. Now, unless you want to burn through your color toner, doing a full graphic across the whole page is probably a bit much for a newsletter. After all, you aren't asking anyone to pay $4.99 for this. What does allow for the same kind of impact without the overhead is to change what underlies your header. Essentially we are doing a lite version of what the big glossy publications do. 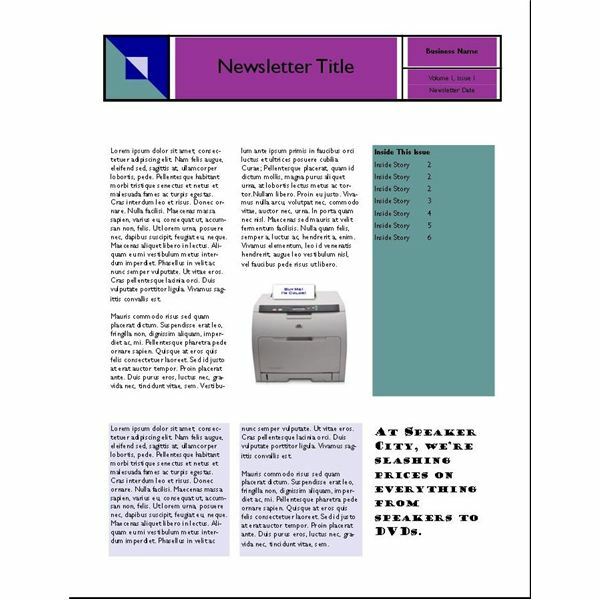 Here is an example with some fall based clip art used for the header and the table of contents. Now, your clients can with one glance know that this is the current issue. It also adds a sense of urgency for getting your newsletter read. Who wants to be reading a fall-themed newsletter in November? By using a dynamic reusable template for your newsletter you free up some of your precious time while continuing to have a useful publication out there that has the full impact it deserves. With that free time, maybe it is time to start another newsletter? This one to your employees. You won't even need a new template. 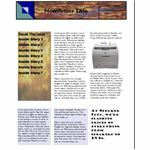 Just change up some fonts and make sure that you aren't using the same layout at the same time for your other newsletters and it will look like you have two customized newsletters put out each month. Do you have questions? Comments? Want to see other examples? You can leave feedback in the Comments section below. 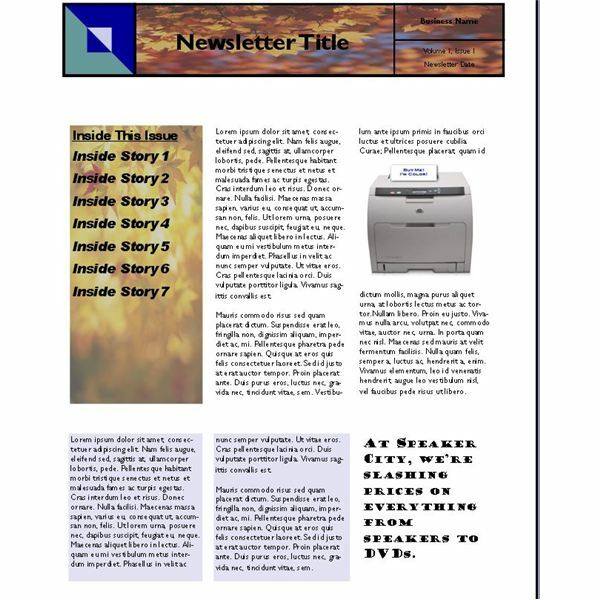 Using pre-built newsletter templates help relieve some of the burden of generating a regularly published newsletter. But, unless you want to change templates every time, your newsletter will always look the same. The solution? Dynamic Reusable Newsletter Templates. What Is a Dynamic Reusable Newsletter Template?